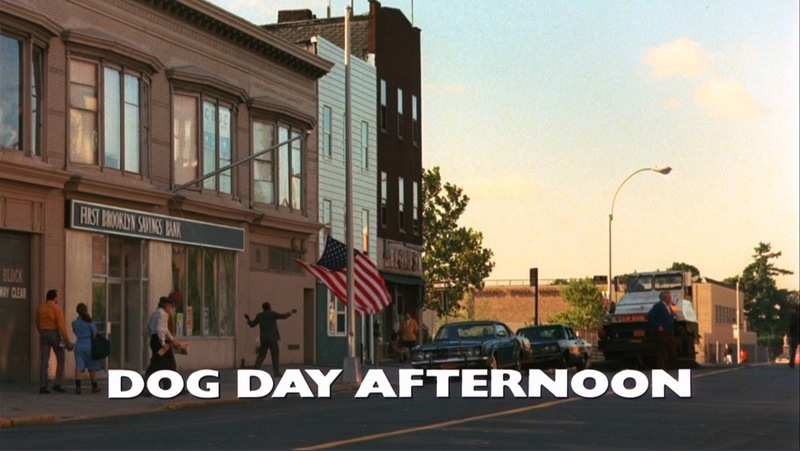 Against all convention, Dog Day Afternoon (1975) plays out the course of its drama without a supporting music track. No piano, guitar, french horn, piccolo, jaw harp, nothing at least after the story proper starts at the closing of the working day. For the first 5 minutes of the film over a montage of city scenes, a New York summer, Elton John’s ‘Amoreena’ plays in its entirety. The skip beat of the performance gives a rhythm to the edits of scenes of dogs nosing garbage bags, Bowery bums, Coney Island’s beaches, ferries, car jams, construction workers, tennis courts, commuters, and Manhattan skylines seen behind a roof top swimming pool and a cemetery. There’s a familiarity in the images echoed in numerous other New York set movies of the period, but Elton John’s recording is by any reckoning a strange choice. Neither contemporary, it was released 5 years earlier on Tumbleweed Connection, nor in anyway a pop city symphony. Just about anything by Bruce Springsteen from his first two albums would have made a more thematically appropriate choice. Tumbleweed Connection was John’s 3rd album and one deeply in thrall to the Americana of The Band. Bernie Taupin’s lyrics evoke images of the antebellum South, Western gunfighters, and mission houses. The sepia sleeve and accompanying booklet provide a panoply of supporting illustrations and photographs, even if the actual English location of the heritage steam train station depicted on the front of the gatefold, with all its enamelled adverts for the most British of goods - Cadburys, Rowntrees, Ogden’s tobacco - seem counter to the album’s particular tale of the New World; from Bushy, Herts, Reg Dwight’s own Atlantic crossing.